The Lotus Elise turns TWENTY! It is a little hard to believe that the diminutive Lotus Elise has just turned 20 years old, the car that turned the fortunes around for the Norfolk-based car manufacturer and managed to reinvigorate the brand. In a world that seems to demand constant change, the pocket rocket from East Anglia that was first shown at the Frankfurt Motor Show in 1995 is still with us and will be celebrated in the only way that the motor industry knows – a special edition. Special editions seem to be a little too common in the realm of the autoworld, but in this case the Julian Thomas-designed little roadster truly deserves some special attention. After two decades and a production run of 32,000 units, making it the most successful Lotus ever, we are to be treated to a new model called the Anniversary Special. The car will have the same basic styling and sweetly balanced dynamics as always, but for £39,900 you will also get a slightly more potent 1.8-litre engine with more than 217bhp and 185lb-ft of torque to push around the 914kg vehicle. The weight is 10kg down from the standard Elise S – thanks to some lightweight wheels and sports seats – but if you want air-con and a stereo, these will be optional extras. 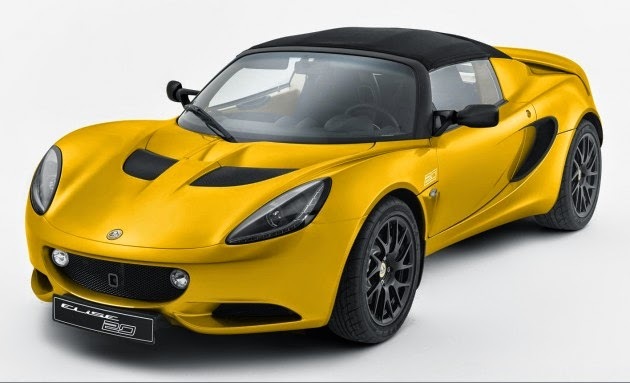 Lotus describes the new model as a special edition, as opposed to a limited edition, which presumably means that the production run will not be limited to a specific number and will effectively replace the Club Racer model in the range. The price tag is firmly in the Porsche Boxster range, which may make it a bit tough to sell in some markets, but when you are talking about driving purity, nothing comes much closer than the Elise. “It is sometimes hard to believe that the Elise has been around for 20 years. It was ground-breaking when it was launched and continues to be the benchmark for handling and performance in its class. Over the years, we have improved and refined the Elise but we have also ensured that we have retained the purity of the driving experience and for the Elise to remain as the sports car to which other marques aspire,” said Jean-Marc Gales, CEO of Group Lotus plc. 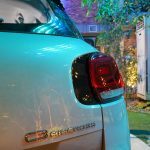 He may have a point, and companies like Detroit Electric, Tesla (read also: Detroit moves to Holland and Tesla to upgrade the Roadster) and others who have based their initial offerings on the Lotus Elise platform would be quick to agree. Is Lotus going Cayman hunting?